Tried something new… Shook an egg for a minute before boiling, the result a golden egg. Colin, it’s only the color of the egg once cooked. 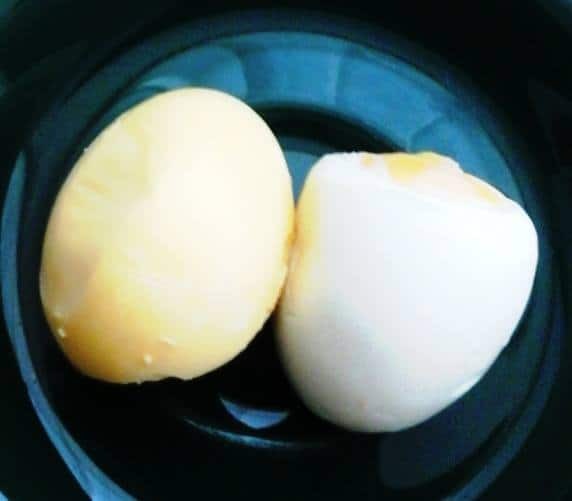 Priscilla Huxford (member that posted) shook an egg while still raw and the yolk and white mixed in the shell, and when cooked it turned a yellow/golden color.